Discover fun for all ages at Magic Mountain in Big Bear. Here is where you will find the popular Alpine Slide, but that is just one of the attractions! See below to find out what other kinds of things are available at Magic Mountain. Once you’ve tried everything that Magic Mountain has to offer, download our free travel guide to see what else there is to do in Big Bear! It will save you time planning your vacation, freeing up more time for fun. 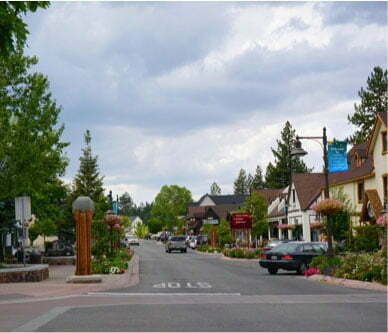 Magic Mountain is a great place to have a day of family fun in Big Bear, no matter the season you visit! 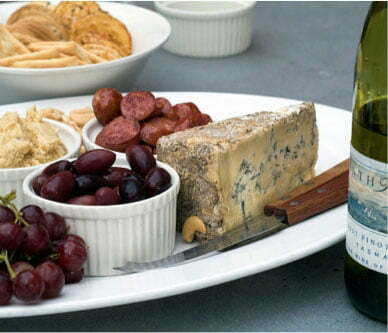 It has been serving Big Bear for years and is a favorite of locals and travelers alike. Magic Mountain transforms into a mini water park during the summer, complete with a double water slide that winds its way down to the 3.5-foot-deep pool at the bottom! After your slide, you can bask in the sun on the poolside deck. Magic Mountain offers the only authentic bobsledding experience in Big Bear with its Alpine Slide. 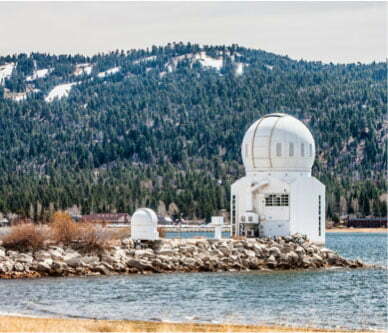 You’ll start by riding a scenic chairlift to the top of the mountain while enjoying panoramic views of Big Bear Lake and the surrounding mountains. Then, you navigate your own sled down the cement tracks at whatever pace you’d like, thanks to the brake that has a control handle. Magic Mountain also hosts some of the best tubing in Big Bear during the winter months. At Big Bear Snow Play, you can fly down a snowy hill while breathing in brisk, fresh air. The hill that Snow Play takes place on used to be a ski hill, so you can expect long, smooth runs. The best part is that there are two magic carpet lifts that will bring you back up the hill once you’ve slid down, so you can enjoy the fun of snow tubing without the work of trekking back up the hill. If you’d like to take the excitement up a notch, come back once the sun has gone down for glow tubing! No matter what time of the year you visit, you can always try your hand at go-kart racing or miniature golf. The go-karts feature Honda motors and several safety features including restraints so you don’t have to worry about mishaps while having fun. The miniature golf course has breaking greens and water hazards, ensuring a challenge for even the most seasoned mini golfers! If you’re visiting during the summertime, we have several beautiful lakefront cabins that are close to all kinds of water fun, from fishing to swimming to boating and more! If you’re spending Christmas in Big Bear, or are here for the skiing, we have just as many cabins close to the ski slopes. 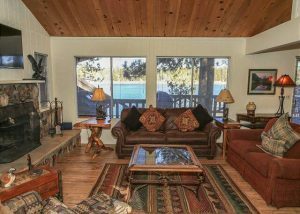 No matter when you visit Big Bear, when you stay in a Big Bear Lakefront Cabin, you can rest assured you will be near all the best things to do in the area. Our cabins feature amenities like spacious open floor plans, large living rooms to accommodate the whole family, and roomy, updated kitchens. 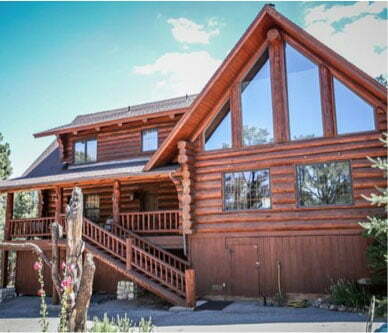 Some also have large decks with hot tubs that look out over fantastic views of Big Bear Lake or the surrounding mountains. Each comes with plenty of fresh linens and cozy blankets, ensuring you will have everything you need for your stay in Big Bear. Be sure to browse all our cabins before you book your vacation in the mountains of Southern California!